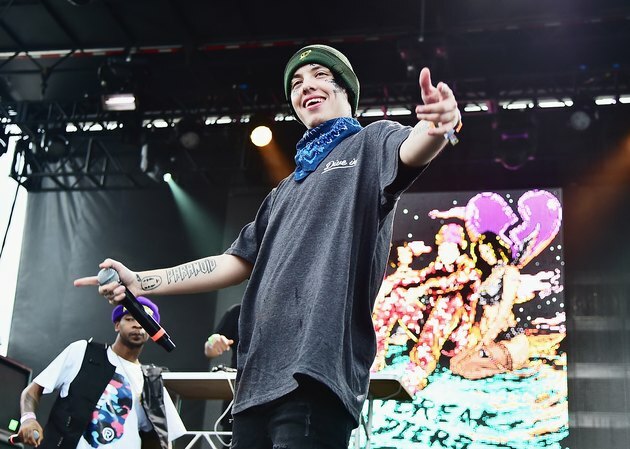 Red alert, Flamin’ Hot Cheeto-lovers: Your favorite spicy snack sent rapper Lil Xan to the hospital earlier this week. But Xan fans need not worry, the 22-year-old is OK. This isn’t the first time that the cult-favorite Frito Lay snack has allegedly sent someone to the hospital. In July, a mother told reporters that her daughter had been eating four bags of Flamin’ Hot Cheetos a week, which made the snack partly to blame for her daughter’s emergency gallbladder removal. But this is merely speculation. Emeran Mayer, M.D., Ph.D., professor in the Departments of Medicine, Physiology and Psychiatry at the David Geffen School of Medicine at UCLA and author of “The Mind-Gut Connection,” tells LIVESTRONG.COM that spicy foods aren’t generally associated with gallbladder issues. However, dietary fat is because it causes the gallbladder to produce an excess of bile. And with 11 grams of fat per 21-piece serving, Flamin’ Hot Cheetos could definitely have factored into the young woman’s gallbladder problems. But our question remains: Can Flamin’ Hot Cheetos screw up your stomach to the point where you’re barfing blood? The answer is yes. The Commercial Appeal, a Memphis-based daily newspaper, reported earlier this year that the local Le Bonheur Children’s Hospital sees around 100 to 150 children every month for abdominal pain and acid reflux related to super-spicy snacks. This is likely due to the combination of ingredients found in foods like Flamin’ Hot Cheetos and Takis. “If you ingest anything that’s super hot, super cold or super spicy, your digestive system will perceive it as potentially harmful and activate a series of responses,” Dr. Mayer says. According to him, spicy foods send signals to your brain that can cause nausea or vomiting. They also stimulate gastric acid secretion, which can lead to heartburn or acid reflux as well as increased blood flow. With an increase of blood flow to the lining of the gut, Dr. Mayer says, any erosions in the stomach lining caused by Flamin’ Hot Cheetos would likely lead to some “leakage of blood.” This might explain why Lil Xan saw a lil’ red in his vomit. Or it may have simply been a result of the food coloring itself. We mean, have you even seen just how red Flamin’ Hot Cheetos are? One ingredient that might have also played a major role in the rapper’s hospitalization is fat, which slows the emptying of the stomach. “The longer a substance like [Flamin’ Hot Cheetos] stays in the stomach, the more likely it would be to cause side effects,” Dr. Mayer explains. What’s more, he adds, studies have shown that fat makes your digestive system more sensitive to stimuli. Lastly, the sheer volume of Cheetos Lil Xan consumed might have been what done him in, since it’s safe to assume he didn’t stop at just a few. According to Dr. Mayer, people tend to crave fat and salt, making those substances addictive. Flamin’ Hot Cheetos contain 11 grams of fat per 21-piece serving, as mentioned above, as well as 250 milligrams of sodium, which is about 11 percent of the daily recommended maximum intake. So it’s no wonder people tend to go back for more (and more and more). And Dr. Mayer says that the more of these ultra-spicy snacks you eat, the higher your risk of developing symptoms that could leave you in the hospital. One way you can avoid a stomachache and ensure that you make it to the Total Xanarchy tour is, as you might have guessed, eat fewer Flamin’ Hot Cheetos. Integrative health expert and physician Tasneem Bhatia, M.D., recommends keeping your intake to one serving or less at a time. Or you could opt for a less risky and less processed snack like veggies and hummus or yogurt. We’re glad to hear that Lil Xan is making a full recovery, and we hope that he learns from this incident and takes Flamin’ Hot Cheetos off his rider for the remainder of the tour. Is Kielbasa OK to Eat While Pregnant?